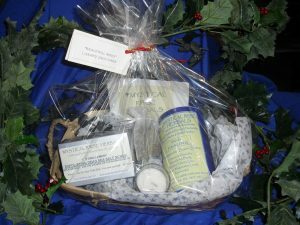 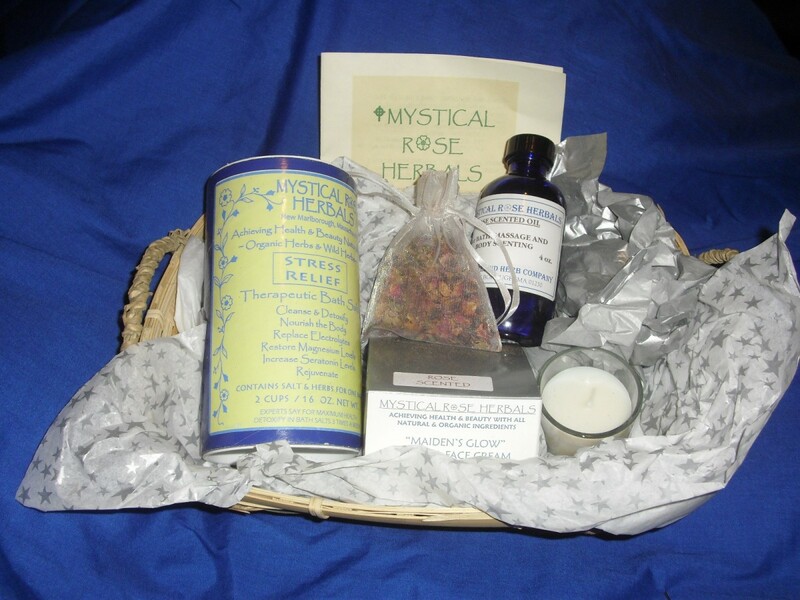 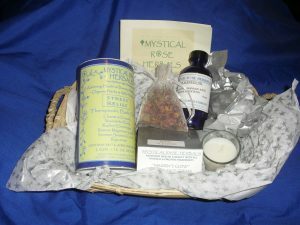 “Stress Away Luxury Gift Basket” : Contains 1 Bag of Berkshire Meadows Herbal Vitamin & Mineral Tea; 1 package of “Stress” Away Therapeutic Dead Sea Bath Salts w/Herbs and a Bath Candle. ($25) Comes beautifully wrapped in a Cellophane bag w/ribbon & tag. 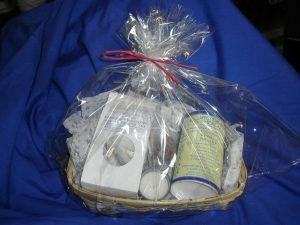 “Beautiful Body” Luxury Skin Care Basket Skin Care Therapeutic Dead Sea Bath Salt Soak w/Herbs; “Maiden’s Glow” Herbal Face Cream; All-Natural & Organic Lip Balm; Bath Candle; Rose-Scented Sachet ( $25) Comes beautifully wrapped in Cellophane w/a ribbon & tag.